If you're researching podiatrists in or around the Rochester, NY area, you probably have a good reason for doing so. Whether it is because your feet are bothering you or you are looking for help for a family member, we strive to provide you with the best service possible to help you lead a healthier lifestyle. Dr. Ronald Gmerek is an experienced podiatrist who provides expert individualized medical services. He cares for athletes and people of all ages, from babies to elderly, with their wide-ranging foot problems. He is certified to perform foot surgery, and he judiciously operates on patients surgically only when required to do so. You will be confident that you're receiving excellent care from Dr. Gmerek, who is board certified by the American Board of Foot and Ankle Surgery, American Board of Multiple Specialties and American Board of Podiatric Medicine. For the convenience of our patients, The Foot Doctor offers podiatric services at 3 centrally located podiatry offices: Rochester, Avon, and Geneseo. Foot Pain is Not Normal! 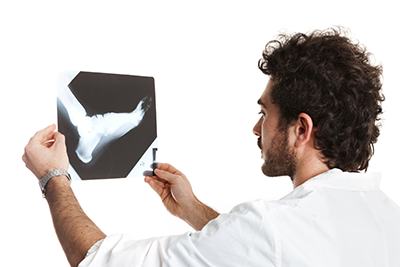 The office of The Foot Doctor treats a wide range of conditions and a large focus is on sports medicine. Dr. Gmerek works with all types of athletes to ensure their well-being and treat foot and ankle issues, overuse injuries, stress fractures, tendon problems, metatarsal pain, shin splints, and heel and Achilles pain. Dr. Gmerek works with recreational to professional level sports injuries and all aspects of musculoskeletal complaints of the foot and ankle. Dr. Gmerek's extensive training includes conservative rehabilitation treatment, trauma, surgery and arthroscopy. Dr. Gmerek will work with athletes in a biomechanical evaluation and supply custom orthotics to aid in athletic performance and reduction of sports-related injury in hockey, running, golf, basketball, soccer, lacrosse and many other sports. "Dr. Gmerek is very thorough in his analysis of the problem and has a thoughtful and precise method to resolve the problem. Since I was to have elective surgery we were all set to go but my labs did not allow that to happen. Dr. Gmerek was the one to put off the surgery and based on his explanation I concurred with him 100%. He puts his patients first."